Let’s have a frank conversation about a rather sensitive topic: Excel. We have not been too kind to spreadsheet software in the past, but it was for a purpose! We at Questica honestly believe that financial software is the optimal method for handling budgeting and forecasting needs. We see traditional spreadsheets as a hindrance rather than a tool, but is that the full story? Today, let’s closely examine whether spreadsheets are really the best reporting tool for your budget forecasting through one of the most popular examples: Microsoft Excel. When it comes to spreadsheet software, Excel is pretty much the first thing that most people think of. And why not? It’s been around since 1985 and became widely popular in the 90s. It’s been going strong ever since, as many were exposed to it early on when buying their first home or office computer. In fact, the name “Excel” has become synonymous with spreadsheet software, much like how we say “Kleenex” to mean “tissue.” Clearly, it is one of the biggest success stories for Microsoft. Thanks to Microsoft’s decision to include it in the “Office” bundle alongside Word and Powerpoint, Excel is more widely available than ever. These days, you would be hard pressed to find a professional business (or even a college student) who didn’t regularly use it. It is easy to access and inexpensive. The basics of it have remained unchanged for approximately 30 years, so it is less intimidating for newcomers. Finally, for those who are truly new to using spreadsheet applications, there is no shortage of free training available. Microsoft provides training through their website, but that is just the tip of the digital iceberg. There are hundreds of tutorial videos available on YouTube thanks to helpful content creators. Many of these videos have the added benefit of watching the instructor navigate Excel while lecturing, which helps people learn visually. Finally, office workers are sure to find a helpful and friendly coworker willing to show them the ropes, or even free training paid for by the company. Thanks to Excel’s longevity and reliability, it is easier than ever to pick up and learn. Excel really does have a lot of benefits, but is it the best reporting tool for budgeting? Unfortunately, the answer is a resounding no. 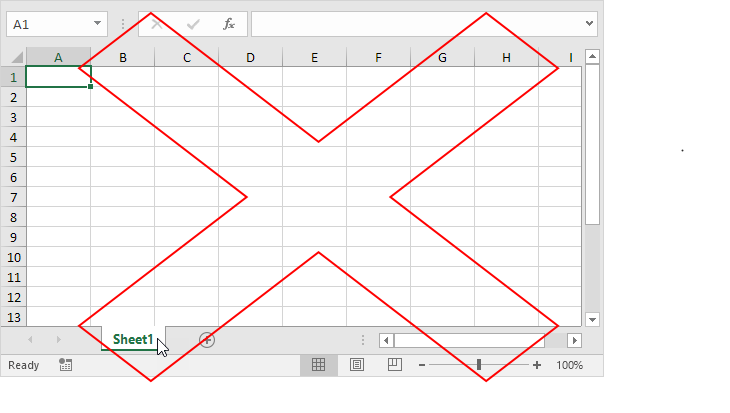 Here are where Excel’s limitations rear their ugly heads. The biggest problem is that it relies on manual data entry. This method is not only time consuming, but also leaves you vulnerable to error. If you put in the wrong number or the formula is incorrect, it could throw everything off. You also need to rely on your own calculations rather than having the software do the math for you. Be prepared to check and double check your figures. Secondly, the layout of Excel is not great for creating multiple projections and “what-if” scenarios, which is an essential element to good budgeting. Non-profits need to prepare for every possible scenario to stay functional. Excel unfortunately has not developed an easy way to create multiple forecasts without creating multiple pages manually. This is hugely inefficient in 2017. Want a better option for a budgeting and reporting tool? Choose Questica’s non-profit software. We don’t require entirely manual data entry and we are designed specifically for multiple forecasts in mind. We are also a cloud-based software, so key personnel can access and update the budget from wherever they are! If you are interested in experiencing Questica for yourself, then visit our website where you can request a demo of our software in action. Don’t choose the same old spreadsheets simply because they’re comfortable; choose innovation and choose Questica.